Upon arrival at your hotel you will have breakfast and a chance to freshen up. 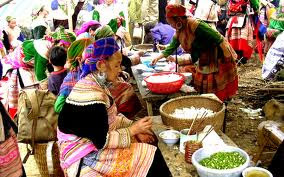 After which, your tour guide will pick you up for the tour starting at 9 A.M. First you will be driven in a private car to Lao Chai, an established H’mong minority village which has been inhabited for centuries. Trekking through this village you will have the opportunity to see the products of this rich culture at its best, with hereditary rice terraces, traditional homes and a vibrant community. 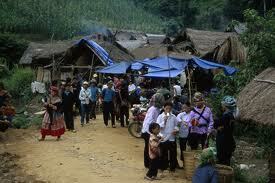 We will then trek on to Ta Van village where you will visit the Giay minority people. This group traditionally fished for a living and as a result established themselves close to rivers. 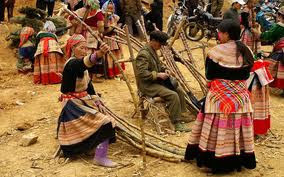 They have mastered the art of fishing with bamboo sticks, and cook the fish inside bamboo. Nowadays however you are more likely to see the Giay working in fields planting or harvesting rice. Transport will be waiting at Ta Van bridge to take you back for lunch at a local restaurant in Sapa. Then at 2pm your guide will collect you and you will be driven in a private car to the Silver Waterfall, with a 300m drop. Scenic steps will lead you to the foot of the waterfall and the perfect place for photos. Continuing our journey, we will drive a further 3 km to the Tram Ton Pass, the highest mountain pass in Vietnam at approximately 2000m. At this height you will feel the temperature drop but the views are truly stunning, and you will have the opportunity to stretch your legs, explore and take photographs. Nam Cang village locates in a remote and beautiful area dominavted by Red Dao minority. 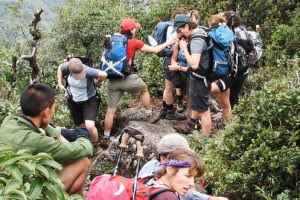 Visiting the most remote part of Sapa area equals real adventure and great opportunities to explore the natural life of ethnic minority groups living in the mountains. The locals will look with big eyes and followed by happy smiles as this is “off the beaten track”. You enjoy your lunch in a comfortable riverside lodge connecting with Nam Cang village with own bridge. Along the tour you will meet several different tribes, each with own language and costumes.
. You are now on off the beaten track trails, enjoying beautiful views of high mountains, waterfalls and the deep valley. After a hard ascending, you will arrive at the Blue H’mong village of Nam Than. The walk is now mostly downhill and soon you will reach the small and remote Red Dao minority village of Nam Cang. Your lunch is served at Nam Cang Riverside Lodge, situated few meters from the river with own suspended bridge and with the jungle close by. 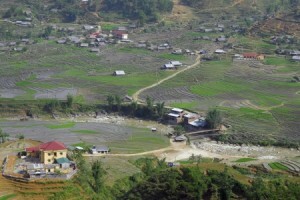 Nam Cang village locates at the most remote area of Sapa. 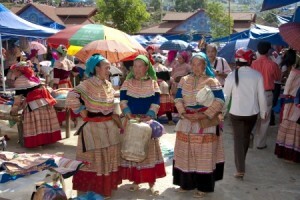 The Red Dao women wear some of the most colorful and diverse costumes of all Vietnam’s ethnic groups. 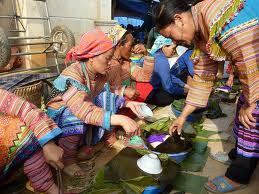 Herbal bath, local medicine and embroidery are some of the things that the Red Dao are very skilled at. Accompanied by your guide, you will explore around the village and learn how the local villagers make writing paper, jewelry and embroidery. You may also want to take a swim in the river, before having a transfer back to Sapa town.